As one of the nation’s emergency response systems, the Laboratory Response Network (LRN) is known for detecting and responding to all types of health threats. Its mission is to maintain an integrated network of laboratories that can respond to bioterrorism, emerging infectious diseases, chemical terrorism and other public health emergencies. During an emergency, one of the LRN’s most critical functions is ensuring that US laboratories have the right test at the right time. When a public health threat emerges, one of the first tasks of public health systems is to make sure that laboratories are able to test for the causative agent, whether biological, chemical or radiological. However, the Centers for Disease Control and Prevention (CDC) quickly works with these laboratories and other partners to get the tests in place using equipment found in LRN reference laboratories. For instance in 2014, CDC partnered with the Department of Defense (DoD) and the LRN deployed a test for Ebola. The network rolled out training and other programs to ensure quality testing and reporting. This approach ensured laboratories such as the Texas Department of State Health Services Laboratory was ready to test for Ebola before it struck. Similarly, CDC quickly worked with the Food and Drug Administration (FDA) to secure an Emergency Use Authorization (EUA) assay for Zika and again deployed the test via the LRN to laboratories across the country. Where training was needed, CDC partnered with APHL to deliver these skills to public health laboratory scientists. Whatever the testing needs may be, the LRN jumps into action to ensure testing capabilities are in place for an effective response. Collaborates with the specialized laboratory developing the test. This may be a laboratory at a government agency, such as CDC or DoD, or a private entity. Optimizes the test to ensure it provides reliable results, operates on instrumentation available nationwide and integrates with systems for reporting of test results. Prepares and submits a request to the FDA for use of the test on an emergency basis. This Emergency Use Authorization (EUA) details test detection limitations, reagents, instruments, authorized users and other technical information. Issues proficiency tests to assure laboratory scientists across the network are capable of properly performing the tests and generating accurate results. Quickly deploys the test to LRN laboratories with the capability to test for the agent. Provides a mechanism for standardized electronic data exchange of test results. Facilitates communications across partners such as APHL, DoD, FBI and other stakeholder. Responding to the Animas River disaster: Who’s testing what? As a founding partner, APHL recognizes the value of the LRN and celebrates its accomplishments across the last 20 years. The LRN, via funding from CDC’s Public Health Emergency Preparedness Cooperative Agreement, provides a warm base for public health laboratories, positioning them to respond to all threats including the 2009 pandemic influenza and the recent opioid epidemic. Though many Americans have never heard of the LRN, the Network is nonetheless there, keeping us safe from threats known and unknown. For more information about the Laboratory Response Network, visit CDC’s “The Laboratory Response Network Partners in Preparedness” webpage. The post The LRN’s job is to prepare, detect and respond. But what exactly does that mean? appeared first on APHL Lab Blog. The post New Lab Matters: The ABCs of PFAS appeared first on APHL Lab Blog. The Bureau of Labor Statistics estimates that 12,000 new laboratory professionals are needed each year to meet consumer demand. At the same time, while automation has eliminated some less-skilled laboratory jobs, the growing sophistication of public health laboratory analyses has generated demand for scientists with highly specialized training. As our feature article shows, laboratories are recruiting new talent for the “hidden profession” by taking a hard look into what they really want, and how they want to work. 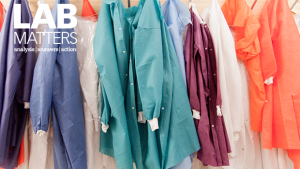 The post New Lab Matters: Time to welcome the next generation of public health laboratory scientists appeared first on APHL Lab Blog. Public health emergencies occur every day across the United States. Tornadoes, hurricanes, wildfires, floods, infectious disease outbreaks, terrorist attacks, and other emergencies have all occurred within the past few years and likely will happen again. Communities must be ready in the event of a public health emergency – both those they expect and those that come without warning. Since 2002, CDC’s Public Health Emergency Preparedness (PHEP) program has provided funding and guidance to 50 states, four cities, and eight territorial health departments across the nation to protect communities. Planning and exercising plans help ensure that health departments are ready to respond and save lives when emergencies occur. While we all hope that emergencies never happen, they are inevitable and the true test of any preparedness system. The following stories are examples of how CDC’s PHEP program works with states and local communities to ensure they are ready to respond to any emergency. Some of CDC’s partners include health departments, community organizations, national public health organizations, and private companies. In 2017, nearly 9,000 fires, almost double the average annual number, burned 1.2 million acres in California. The fires destroyed more than 10,800 structures and killed at least 46 people. However, thanks to years of planning for such events and building a public health infrastructure through the PHEP program, state and local health departments were ready to respond immediately and help their communities recover over the following months. Through partnerships and support provided by the PHEP program in and around Sonoma County, local officials evacuated more than 1,160 patients from area hospitals and many other healthcare facilities. Additionally, because of the relationship the state built with the California National Guard through the PHEP program, more than 100 volunteer troops cleaned the Sonoma Developmental Center in one day. More than 200 patients with disabilities were then able to return safely to the facility. In March 2017, an influenza outbreak on Vinylhaven, a remote island off the coast of Maine with a population of about 1,165, sickened half of the island’s residents. The outbreak depleted the medical center’s Tamiflu® supply. Tamiflu® can greatly lessen the severity of influenza but it must be taken early in treatment. Because of a partnership agreement established under PHEP with the Northern New England Poison Center, local pharmacies, and other organizations, and the Maine Department of Health staff quickly delivered 100 treatment courses of Tamiflu®. As a result, the state successfully reduced the impact of the influenza outbreak on the island. On May 2017, a water main break under a river contaminated water in Cumberland County, Illinois, and left some residents without water entirely. Health department staff funded through PHEP established water distribution sites with bottled water donated by private partners such as Walmart, Coca-Cola, and Anheuser-Busch. Staff also went door-to-door to check on residents and distribute materials about safe water. The PHEP program ensures public health emergency management systems and experts are ready to respond when emergencies occur. Preparedness efforts throughout the years have saved lives and helped communities return to normal operations as quickly as possible. From natural disasters to infectious diseases, the PHEP program protects America’s health, safety, and security to save lives. Check out the PHEP Stories from the Field to find out more about how the PHEP program has helped communities prepare for, respond to, and recover from public health emergencies. Most of us are familiar with the parental-like voice in the back of our minds that helps guide our decision-making—asking us questions like, “Have you called your grandmother lately?” For many that voice serves as a gentle, yet constant reminder to wash our hands. Handwashing with soap and water is one of the most important steps you can take to avoid getting sick and spreading germs to loved ones. Many diseases are spread by not cleaning your hands properly after touching contaminated objects or surfaces. And although not all germs are bad, illness can occur when harmful germs enter our bodies through the eyes, nose, and mouth. That’s why it is critical to wash hands at key times, such as after a flood or during a flu pandemic, when germs can be passed from person to person and make others sick. Washing hands with soap and water is the best way to reduce the number of germs on them, however during a disaster clean, running water may not be available. If soap and water are not available, use an alcohol-based hand sanitizer that contains at least 60% alcohol. Alcohol-based hand sanitizers can quickly reduce the number of germs on hands in some situations, but sanitizers do not eliminate all types of germs. Handwashing can keep children healthy and in school. Handwashing education can reduce the number of young children who get sick and help prevent school absenteeism. Handwashing can help prevent illness. Getting a yearly flu vaccine is the most important action you can take to protect yourself from flu. Besides getting a flu vaccine, CDC recommends everyday preventive actions including frequent handwashing with soap and water. Global Handwashing Day is celebrated annually on October 15 to promote handwashing with soap as an easy and affordable way to prevent disease in communities around the world. This year’s theme, “Clean Hands—A Recipe for Health,” calls attention to the importance of handwashing at key times, such as before eating or feeding others, and before, during, and after preparing food. Watch a CDC expert give a handwashing demonstration on how to properly wash hands with soap and water. Join CDC’s handwashing social media campaign. Post a photo of yourself or others showing your clean hands. Use the hashtags #HandwashingHeroes and #PrepYourHealth. Promote on social media. Create your own messages or share some our sample social media messages. Use the #GlobalHandwashingDay hashtag. Share health promotion resources. CDC has developed a variety of shareable promotion materials, including web-ready buttons, animated images, and fact sheets on handwashing. Order free posters. Display handwashing posters in highly visible areas, such as schools, work areas, and restrooms. Use web content syndication. Add the latest content from CDC’s Handwashing website to your organization’s website. The content is automatically updated when CDC updates it, so your content will always be accurate and current. The devastating hurricanes of 2017 reminded us how important it is to prepare for disasters. These potentially life-threatening situations have real impacts on personal and public health. During Hurricane Irma, existing medical conditions and power outages increased the likelihood of death. Being prepared with supplies and an Emergency Action Plan can help you protect the health of your family until help arrives. September is National Preparedness Month (#NatlPrep), and the perfect time of year to remind people of The Power of Preparedness. This year’s call-to-action of Prepare Your Health (#PrepYourHealth) and four weekly themes highlight the roles that individuals, state and local public health, and CDC play in creating community health resilience. It takes everyone “pulling in the same direction” to create families, communities, and a nation that can withstand, adapt to, and recover from personal and public health emergencies. The first week focuses on personal preparedness, and the importance of nonperishable food, safe water, basic supplies, and the personal items you need to protect your health until help arrives. Special foods—such as nutrition drinks—for people with dietary restrictions, food sensitivities and allergies, and medical conditions such as diabetes. A 7 to 10 day supply of prescription medications stored in a waterproof container. An up-to-date list of all prescription medications, including dosage and the names of their generic equivalents, medical supply needs, and known allergies. Over-the-counter medications, including pain and fever relievers, diuretics, antihistamines, and antidiarrheal medications stored in labeled, childproof containers. A cooler and chemical ice packs for storing and keeping medicines cold in a power outage. Get trained in cardiopulmonary resuscitation (CPR). If you do not know CPR, you can give hands-only CPR—uninterrupted chest compressions of 100 to 120 a minute—until help arrives. Learn how to use an automated external defibrillator (AED). Learn Handwashing is one of the best ways to protect yourself, your family, and others from getting sick. The good news is that it is never too late to prepare for a public health emergency. You can take actions, make healthy choices, and download free resources to help you prepare for, adapt to, and cope with adversity. When Category 4 Hurricane Maria made landfall in Puerto Rico, CDC assembled a team of experienced communicators who were flexible, bilingual, and culturally sensitive communicators. This group of experts prepared to deploy to Puerto Rico on short notice to support the communication needs of the Puerto Rico Health Department. I was asked to lead content development, and as a native Puerto Rican I did not hesitate to go home and help in any way I could. I was part of the first team of four health communications specialists who arrived on the island just three weeks after the hurricane. We knew our job was not going to be easy— severe electrical power outage meant that residents had no access to internet, social media, or television. Antennas had fallen during the storm, so there was very limited radio coverage and almost no cell phone connectivity. Large billboards were literally on the ground and newspapers were not circulating widely because there was no way to publish and transport them for delivery. Hurricane Maria was an unprecedented disaster, exposing residents to an increased risk for foodborne, waterborne, infectious and non-infectious diseases, and other public health risks. We had to figure out how to communicate about multiple health risks to the public, especially to those in rural and isolated communities, when basic resources and services were not available. Every natural disaster is unique and emergency responders have to quickly adapt to the ever-changing nature of a crisis. Nonetheless, many key messages can be written before disaster strikes so they can be quickly disseminated before an event, during the response, and in the recovery stages. In disaster planning this is known as a phased approach, and it can save valuable time when in the midst of a crisis response. Before the 2017 hurricane season started, CDC developed a key message reference document for partners to have the most up-to-date science about multiple hurricane-related health threats. The key message document helped us on the ground so we could quickly create and adapt health communication products for Puerto Rican audiences. When all primary communication systems and technology fail, communicators must think creatively and adapt to the crisis by identifying new communication channels. In Puerto Rico, we realized that mass producing printed materials was our best bet to get important health messages to the most vulnerable communities. As the response evolved, we identified alternate channels, such as using FEMA’s text messaging capability to disseminate health messages to their subscribers, or using outdoor speakers to run public service announcements in rural areas. We also posted targeted and relevant messages on the CDC en Español Facebook channel. We knew Puerto Ricans on the United States mainland, known as “la diáspora,” were heavily using technology to connect with family and help people on the island, so we posted targeted and relevant digital messages that could be relayed to people in Puerto Rico by word of mouth. Cultural norms influence how people behave, so culture has important implications for emergency communication. For the Puerto Rico response, we translated materials to Spanish and made sure to linguistically and culturally tailor our health prevention messages so they would be relevant with the Puerto Rican audience. Our team made sure to use widely understood terminology in the island to provide clear and localized language, particularly for audiences with low literacy. For example, in Puerto Rico the term “hongos” is widely understood as a translation for “mold” as opposed to “moho,” which is used in other Spanish speaking countries but has a dual-meaning in Puerto Rico. We also implemented a streamlined process for the Puerto Rico Department of Health, and CDC scientists and communication experts to vet, approve, and co-brand the communication materials. We collaborated with the Puerto Rico Health Department to determine our number one priority, which was reaching the most vulnerable communities, including those with no access to clean water, and people who were still in isolated and rural areas. When we heard about military partners who were delivering food and water supplies to isolated communities by helicopter, we gave them boxes of our fact sheets so they could be distributed in these areas. We delivered materials to federal and local government agencies who were doing health assessments in hospitals and shelters. We also provided copies to grassroot and non-profit organizations, and religious and community leaders who went door-to-door to assist residents and organize community events. Through our commitment to partnerships, we distributed over 1.6 million copies of printed materials in a 3-month period. Topics ranged from food and water safety, to carbon monoxide, vector control, mold, leptospirosis, mental health, among others. This included fact sheets, posters, palm cards, and children’s coloring books. Once we started mass producing printed materials, we organized and attended more than 30 community events with partners to disseminate information to the public. We visited hospitals, shelters, disaster recovery centers, schools, and provided information door-to-door in rural communities. Talking with people face-to-face gave us a better understanding of the realities survivors were facing and helped identify public health information gaps in our materials so we could make adjustments. According to a study by the National Center for Atmospheric Research, the volume of rainfall from storms will rise by as much as 80% in North America by the end of the century. Not only do storms and floods threaten public health laboratory facilities, but receding floodwaters pose serious public health risks. As our feature article shows, the best weapon in a public health laboratory’s arsenal is preparation for inundation…from any source. 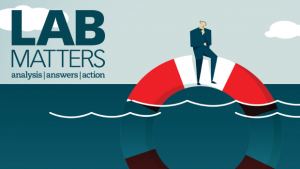 The post New Lab Matters: When the water comes, be prepared appeared first on APHL Lab Blog. Every year, CDC’s Office of Public Health Preparedness and Response publishes the Public Health Preparedness and Response National Snapshot, an annual report that highlights the work of CDC and our partners. No matter the type, size, or cause of a public health emergency, we must work together to respond to the best of our ability. Read the full 2018 National Snapshot Report. The Narrative describes CDC preparedness and response activities in 2016 and 2017 and demonstrates how investments in preparedness enhance the nation’s ability to respond to public health threats and emergencies. The Public Health Emergency Preparedness (PHEP) Program Fact sheets provide information on PHEP funding from 2015 to 2017 and trends and progress related to the 15 public health preparedness capabilities defined in the PHEP Cooperative Agreement. They also feature a short story that demonstrates the impact of the PHEP program. Here are some highlights from the Snapshot that showcase how CDC’s Office of Public Health Preparedness and Emergency Response worked to keep people safer in 2017. In late summer 2017, three major hurricanes—Harvey, Irma, and Maria—made landfall in the United States and territories. This was the first time the United States experienced three Category 4 or greater hurricanes during a single hurricane season. CDC activated its Emergency Operations Center (EOC) on August 31, 2017 and the response is ongoing. CDC epidemiologists, environmental health specialists, emergency managers, health communicators, and scientists with expertise in waterborne and vector-borne diseases continue to work together to monitor and address public health threats in the aftermath of the storms. Learn more about CDC’s role in the hurricane response. From 2000 – 2015, drug overdoses killed more than half a million people in the U.S. Six out of 10 of these deaths involved an opioid. CDC’s National Center for Injury Prevention and Control and the PHEP Program work together to support communities responding to the opioid epidemic. State health departments are using PHEP funds to identify communities hardest hit by the epidemic and to support the distribution of naloxone, a medical treatment to prevent death from opioid overdose. Learn more about what states are doing to fight the opioid epidemic. Between 2017 and 2019, CDC and Public Health Emergency Preparedness (PHEP) program recipients will conduct nearly 500 medical countermeasure operational readiness reviews nationwide. Nearly 60% of the U.S. population resides in 72 metropolitan areas that are included in the reviews of 400 local jurisdictions. The reviews evaluate a jurisdiction’s ability to execute a large response that requires the rapid distribution and dispensing of life-saving medicines and medical supplies. Learn more about the role of the PHEP program in state and local readiness. In 2017, CDC’s Federal Select Agent Program (FSAP) developed a new electronic information system to improve the efficiency of information sharing and exchange between FSAP and registered entities. Learn more about how CDC safeguards lifesaving research with deadly pathogens and poisons through the Select Agent Program. If you have any feedback about the 2018 National Snapshot, please email us at preparednessreport@cdc.gov. We welcome your suggestions and will use your feedback to improve future editions of the Snapshot. When Hurricanes Irma and Maria hit the U.S. Virgin Islands (USVI) in September 2017, this wasn’t just advice for Nykole Tyson. Nykole is the USVI Department of Health’s (DOH’s) Director of Public Relations. She serves as the DOH spokesperson and emergency communicator. Like all of USVI’s responders and government officials, she is a survivor who was impacted by the storms. Nykole’s home had water and roof damage and she was without water or power for four months. “I caught rain water in barrels and used solar lights sent to me by friends living stateside,” Nykole said. She lived on a cot in her office in the DOH for several weeks between and after both storms. . The storms destroyed most of the territory’s communication infrastructure, making both personal and mass communication nearly impossible. Nykole was unable to reach her own family for four days after the second hurricane. However, within hours of both storms, she was on the radio talking to her community about how to stay safe, find shelter, and stay strong. Nykole wasn’t just talking to the public, she was talking to her neighbors, her community, her family, and even her mom. Just hours before Hurricane Irma hit USVI, Nykole was a spokesperson on local radio stations and distributed press releases, public service announcements (PSAs), and social media messages with critical information about how to prepare for the storm. When the storm hit on September 6, electricity, cell, and Internet access was cut off across most of the territory. People sought resources, shelter, and safety, and many struggled to locate friends and loved ones. Virgin Islanders needed to know how to stay safe around downed power lines, debris, mold, and floodwaters. There was only one working radio station after the storm and Nykole immediately went on the air to give safety tips and updates about available services. She also realized that some people were still able to access Facebook, and the social network became one of the primary means of communication throughout the response. The USVI DOH Facebook posts from September provide a glimpse into how events unfolded and demonstrate the DOH’s commitment to responding to the public’s concerns. Just 12 days after Irma, USVI was preparing for another major hurricane—Maria. Only this time there were limited ways to alert the public and provide health and safety information. Virgin Islanders, Nykole included, needed to find shelter or prepare their homes, many of which were already damaged, for the impact of another hurricane. Nykole did a PSA on the local radio station from her own home as she was securing her furniture and checking her emergency supplies. “We will get through this,” she repeated over the radio. Unbeknownst to the listeners, Nykole’s family had lost phone service after Irma. She had been unable to reach them so she was driving to her mom’s house to give her family the same safety information she was sharing on the air. USVI DOH staff had to be creative and resourceful after the storms because the typical means of communication were down. The best ways to share information immediately after the storms was through paper flyers, radio, and in-person outreach. CDC and the U.S. Postal Service assisted with printing and distributing a flyer on key health tips to every mailbox on all four islands. CDC health communicators deployed to USVI to support outreach efforts started conversations the islands at churches, stores, disaster recovery centers, radio stations, and schools. When asked about lessons learned, Nykole reflected, “Do not underestimate the power of radio.” She is still making radio appearances to engage the community, repeat the key messages, answer questions, and encourage community members. While she is running errands, people stop to thank her and comment on her energy. “There were so many times I wanted to cry when I was on the radio, but the listeners didn’t know that,” she says. People tell her how she kept them calm during the worst of the storms, and, hearing her now, still on the radio, lets them know that their government officials are still working hard for them. Nykole’s experience shows how a talented spokesperson who is also a survivor can be the best voice to engage and reassure a community after a disaster. All responses could benefit from people who care for and communication with the public as if they are family.